It feels good to be in the right comfort zone. And with an American Standard Thermostat Control, you’ll always have this feeling, whether you’re home or away. Depending on your family’s schedule, easy-to-understand and navigate controls allow you to automatically adjust the temperature in your home. 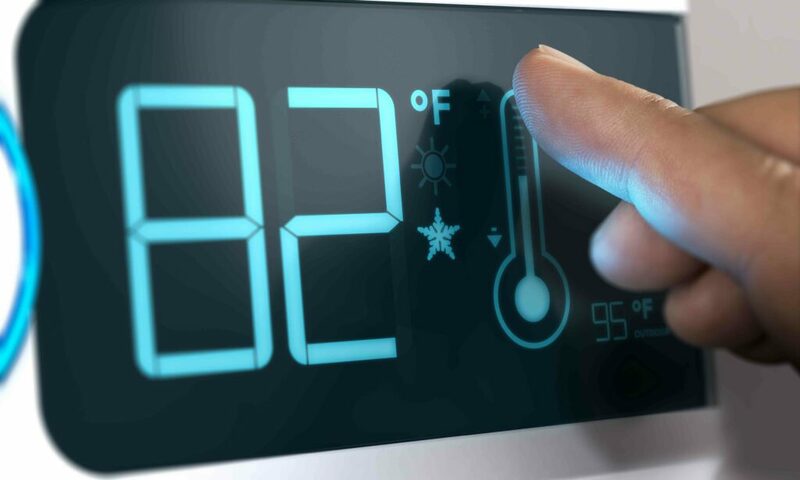 Program your system to save energy when you leave, switch on when you return, and make it cooler or warmer at night when you sleep. And to make you even more comfortable, some thermostats have a built-in humidity sensor to help reduce moisture in the air. American Standard programmable thermostat controls give you the exact home climate you want – exactly when you want it. It’s like being the weatherman. Only being right all the time. Scheduling – A clear, menu-driven setup makes programming quick and easy. Get a handle on your energy consumption with scheduling. The system will keep your family comfortable when they’re home, and use less energy when everyone’s away. Features are dependent upon model chosen. Please call our office for more information about the latest touch-screen and WiFi thermostats! When you choose an American Standard Thermostat Control, you’ll enjoy the consistent comfort and efficiency it brings – performance that is maximized when you make it part of an American Standard Heating and Air Conditioning “matched system.” A matched system is composed of multiple American Standard products, each designed and engineered to work seamlessly together for a total comfort effect that is greater than the sum of its parts. There is simply no better way to create your ideal home environment.